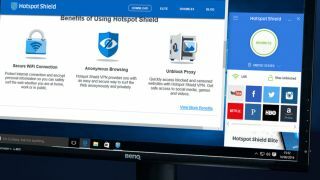 Hotspot Shield, one of the biggest names in the VPN world, has been accused of ‘unfair and deceptive trade practices’ by a pro-privacy non-profit organisation, including logging user connection data and utilizing elements like location to better serve adverts. The Center for Democracy & Technology (or CDT) describes itself as a champion of online civil liberties, and has asked the FTC to investigate the VPN firm regarding claims that it intercepts and redirects internet traffic to partner websites including online advertising companies. Gorodynasky added: “While we commend the CDT for their dedication to protecting users' privacy, we were surprised by these allegations and dismayed that the CDT did not contact us to discuss their concerns. AnchorFree prides itself on being transparent about its data practices and would be happy to engage in a discussion to clarify the facts and better understand the nature of the CDT's concerns." The obvious problem, though, is that this policy document is all very well and good, but there’s no way to actually guarantee how closely it is adhered to by any given VPN provider. We’ll be watching this affair closely to see how it pans out, but obviously enough, losing the trust of its users is not something Hotspot Shield will want to contemplate. In other recent VPN news, Apple has banned some providers from its App Store over in China.